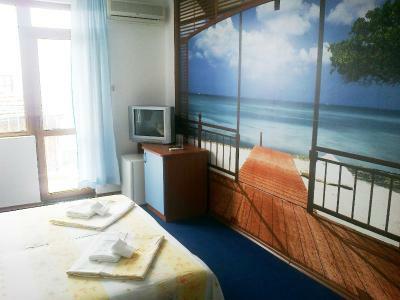 Lock in a great price for Aquamarine Hotel – rated 9.5 by recent guests! Great location, nice furniture, great view, nice staff. Exceptionally helpful and friendly hosts - we arrived late and were given some bread, meats and cheese as all the restaurants were closed. 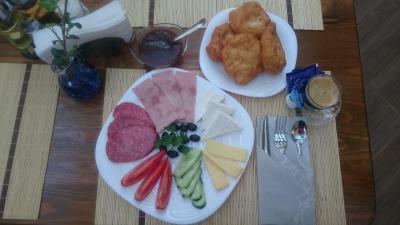 Breakfasts were amazing - you will not go hungry! 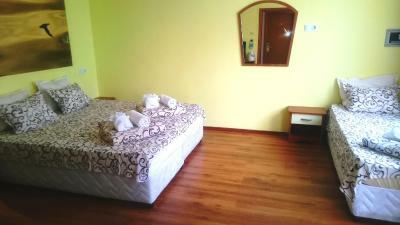 Clean and comfortable room near to old part. Owner very serviceminded. 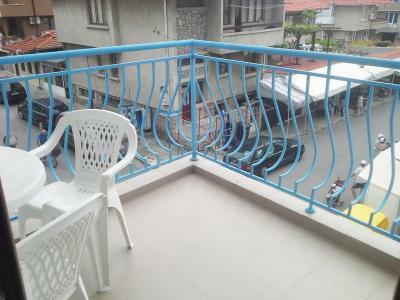 Nice balcony, aircon in room and very good breakfast for a decent price. The private terrace was wonderful to relax with a drink in the evening. Room was spacious and clean. 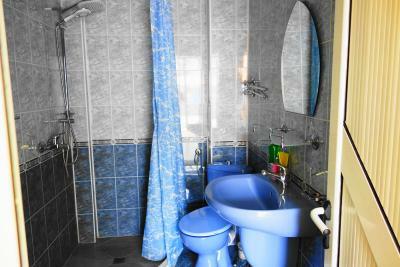 Location is excellent - very close to the beach, but also very quiet in the evenings. The room was very large with a nice balcony. The furnishings were simple. The manager was very helpful. 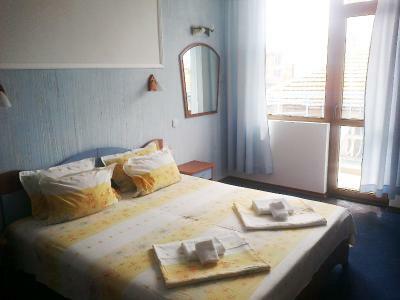 A really nice place to stay, clean and tide up, everything is in a walking distance and the public transport for the campings is a minute away. The owners were amazing and welcome us so warmly! 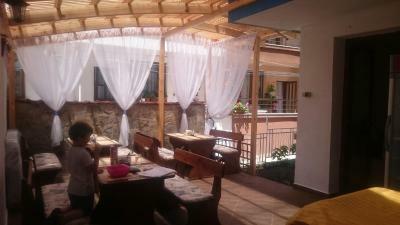 :) I would recommend this hotel to everybody going on vacation in Sozopol! Location is great. Rooms are clean and staff is very kind. Very good localisation. It takes only 2 minutes to get to the beach and to the plenty of good restaurants. Bus station is 10 minutes walk from the hotel. Wi-Fi signal is very good in room. 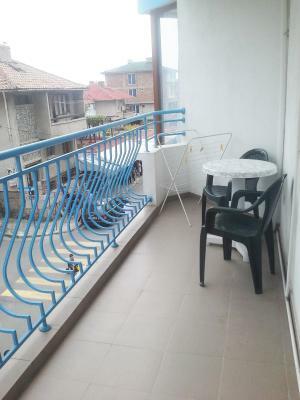 An Air conditioner and a balcony are included in price. 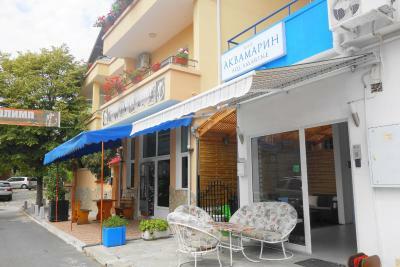 The location is excelent, on the street with shops, few minutes from the two beaches and the old town. The staff is very friendly and kind. The bed was very comfortable. The room was big, quite, very clean and equiped with everythink you need. I enjoyed the nice balcony and the good WIFI connection. 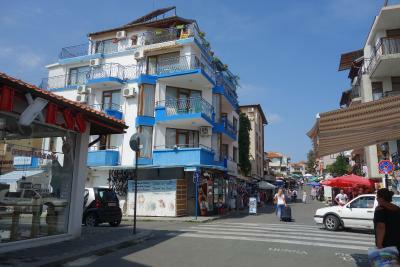 I will certainly stay here again when I will come back in Sozopol. 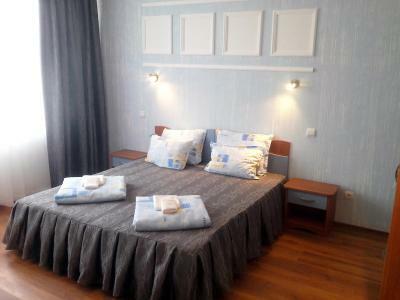 Aquamarine Hotel This rating is a reflection of how the property compares to the industry standard when it comes to price, facilities and services available. It's based on a self-evaluation by the property. Use this rating to help choose your stay! Aquamarine Hotel offers rooms with free Wi-Fi and a private balcony, just 350 feet from Sozopol’s Harmani Beach. 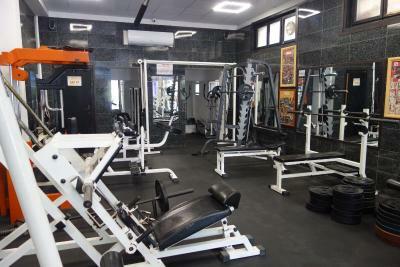 Facilities include a fitness room, a gift shop, and a tour desk. 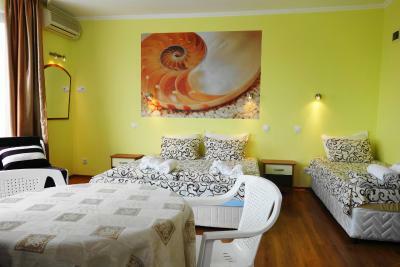 The rooms of Aquamarine feature a modern interior decorated with wooden furniture. All rooms have cable TV, a mini-bar, and tea and coffee making facilities. 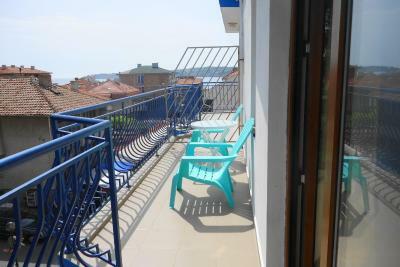 Some rooms have views of the Black Sea. 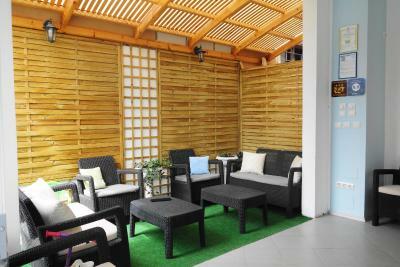 Guests can prepare meals using the barbecue facilities. 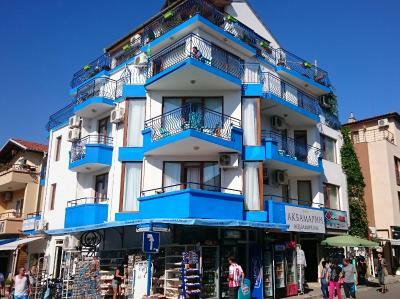 Aquamarine Hotel can arrange transfers to and from Burgas Airport, and transfers from the Burgas railway station. The hotel also offers car rental, and there is a public parking nearby. 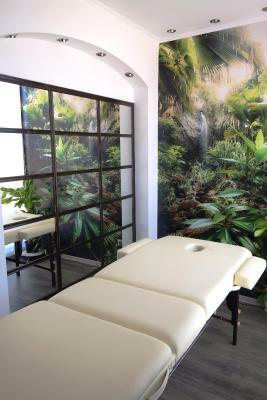 Massage services are also available. 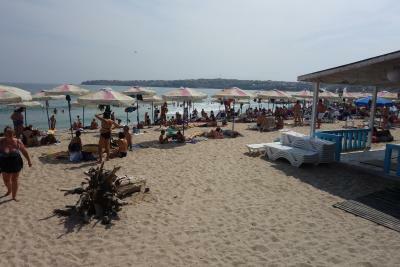 Sozopol’s central beach and Sozopol Bus Station are located only 1,300 feet from Aquamarine Hotel. 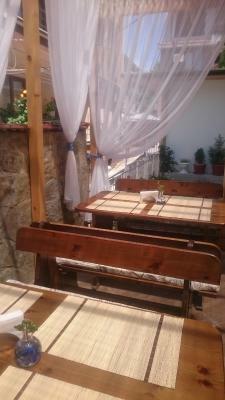 The center of Burgas is a 30-minute drive away. 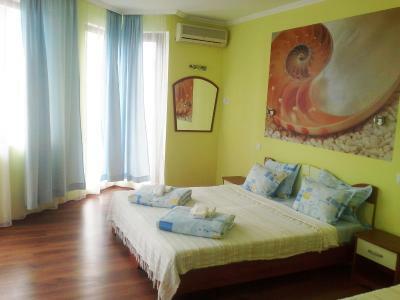 When would you like to stay at Aquamarine Hotel? This room comes with a bathroom, balcony, TV and refrigerator. 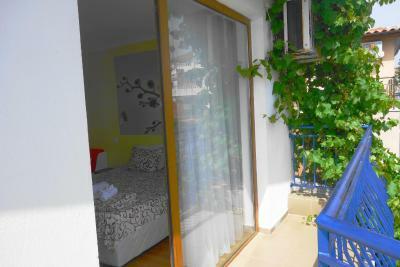 This room is spacious and comes with a bathroom, mini-bar, air conditioning, and a balcony. House Rules Aquamarine Hotel takes special requests – add in the next step! 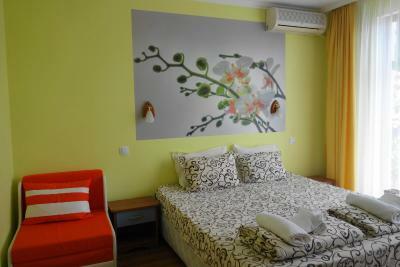 Any additional older children or adults are charged BGN 6 per night for extra beds. Aquamarine Hotel accepts these cards and reserves the right to temporarily hold an amount prior to arrival. 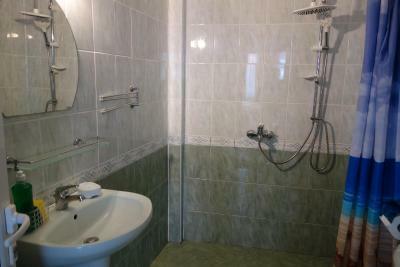 Small rooms, however not unreasonable when you compare to Price. This is not in old town Sozopol. Old town is to the north on the point and is much more interesting. This part of town is OK, but as you go south toward a beach it is mostly poorly constructed and ramshackle beach vendor huts. Some of these have been abandoned and are falling down. The best part of town is definitely old town. There is no parking at the property. I had to pay extra for private parking in the city.